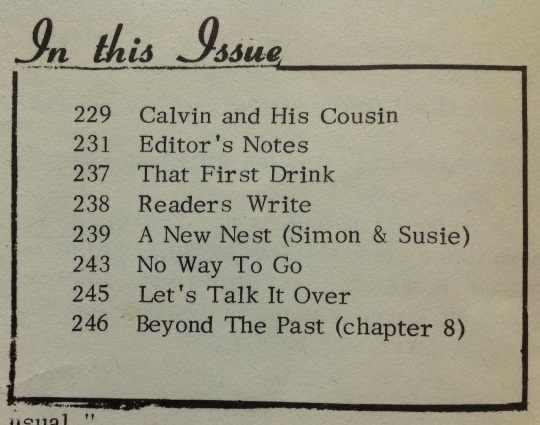 One of our readers recently came across some issues of the Amish publication Young Companion, dating to the early 1970s, at a local thrift shop. He’s offering the two issues pictured above in our latest giveaway. I’m calling it a “retro” giveaway, but as a look at the contents shows, most of the subject matter would probably be just as appropriate today. A little background first. 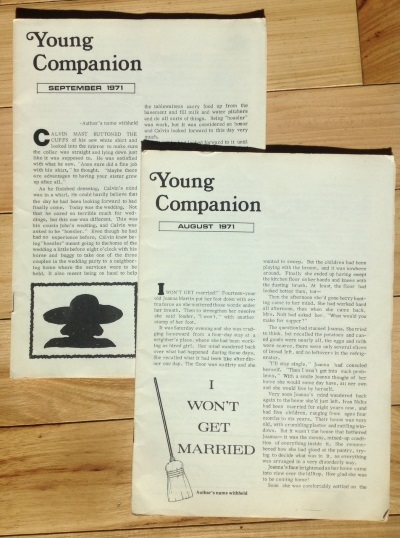 Young Companion is a publication with an interesting history. It is one of Pathway Publishers’ three monthlies, along with Family Life and Blackboard Bulletin. As we learn in “Amish Publishing and Old Order Identity”, Karen Johnson-Weiner’s contribution to The Amish and the Media, it began in 1966 as Ambassador of Peace, with an intended audience of youth doing alternative service in lieu of serving in the armed forces. Alternative service wasn’t military service–but it had its own concerns, as youth worked away from home for extended periods in cities (for instance in hospitals as orderlies) and were subject to the influences of those environments. Karen tells us that in 1971 Ambassador of Peace became Young Companion to reflect its more general nature as a magazine for young people. Today the publication focuses on helping youth deal with adolescent struggles and challenges and helping them to make the right choices to be better Christians. A recent issue covers topics including difficulties when family doesn’t approve of a significant other, dealing with feelings of inferiority, and whether it’s suitable to participate in fireworks celebrations on July 4th. If you’d like to have a chance to win these 40-some-year-old issues, simply leave a comment below, and we’ll do a random drawing. And if you’d like to subscribe to the current-day publication, you can find out how here (see the info listed for Family Life; a Young Companion subscription costs $9). so I would be interested in reading these articles or contributions from that time. Anyhow, how many pages are they, and wouldn’t it be possible to scan them in and make publicly available for reading or download? In answer to your questions, the current issue length is 28 pages, not sure about these older ones, but I’d guess in the 20-some page range. We won’t be able to scan and post full issues as we need to respect the copyright. The publication is pretty affordable though. I imagine you might be able to have them mailed to Germany, though I don’t know the cost to do that. How exciting to find something like this – and be willing to share with us! I have been studying the Amish culture for a few years now and hope to educate students on the benefits of Amish family values, work ethics, and sense of community. I have read almost everything available for purchase or borrow. I would love to have the chance to read these retro issues. Great article and thank you for the subscriptions information! And what an interesting old find! I shop the reading material in our local thrift stores. “Old” books, magazines and other reading material never really get “old”. In fact, just as we should seek the wisdom of eldery people….there is MUCH to learn from them. We receive this publication and it is very nice. Would enjoy comparing the older issues to the current. What a find 😉 I currently subscribe to Family Life and love it! Thx for sharing. My parents were subscribers to the Pathway Papers from day one and my father and sisters were frequent contributors of articles or poems. When we divided up my parent’s possessions after their death, there were boxes and boxes of Family Life, Blackboard Bulletins and Young Companion/Ambassador of Peace which were sold to the highest bidder in the family. 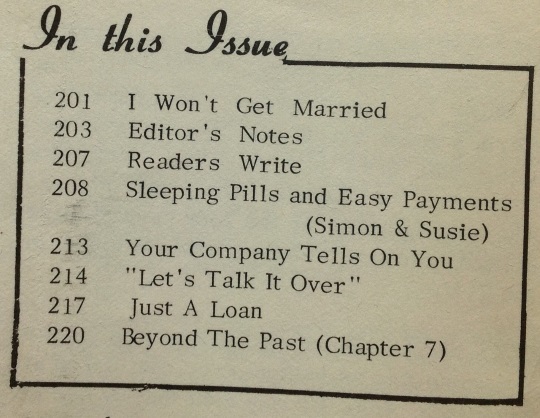 We were married in 1970 so we immediately bought our own subscriptions so we had everything from June 1970 on. Our oldest son got married in 1998 and had a house fire in 2006 where they lost their past issues so we gave them ours from those years. We moved into smaller quarters and I am just not sure what I want with the rest of them. Maybe I will have to offer them on ebay! The children of my Amish friends are voracious readers and they devour the many books I bring to them. They’re so curious that I’m sure they’d love to see something about the Amish from the 70s. Up here in Beaver Dam, Wisconsin there’s a publication for the Amish with local news and not much more. It’s interesting but it could be more so if there were more articles that pertain to the Amish youth. Thanks for checking in Ken, a comparison of themes and topics from these publications from the 1970s with those of today would make an interesting study. These are great! Would love to win one! My wife and I have sold SS cookware for over 30 years and for the last 10-15 we have had lots of Amish as customers. Several families have become good friends. Most of them are Swiss Amish of eastern Ky. Last fall I was looking for another source of income and mentioned it to some of my friends. Occasionally we had taken friends to Indiana or maybe to a Dr appt. but never charged for the trips. Short story is I now have a 15 passenger van and am a full time driver. I grew up on a very rural Eastern Ky farm, so i fit in with the rural lifestyle and enjoy making lots of new friends. A lot of the Amish teenagers I am around know more about how to use my smart phone and other gadgets than I do. I look forward to the daily posts as they are a way for me to see and understand a lot of the reasons things are done in the Amish communities. I imagine the parents don’t love that their kids are using them, but I guess it is what it is and hopefully they are exercising judgment. It’s probably the most potentially threatening of all everyday technologies from an Amish perspective. On that topic, any sense of how prevalent smart phones are in that community? Do adults also have them, for instance business people? I don’t know of any families having smart phones, but quite a few have cell phones (kept with the work drivers) as a business need. Until recently there were no fence line phone booths in the Bath and Nicolas Co areas. However in the last year or so more are appearing. In the Fleming Co area phone booths have been there longer than we have been doing business there, abt 10-12 years. The usage of my smart phone varies a lot from family to family. On some trips it has to stay on the charger a lot, on others not even phone calls are made. In the Bath and Nicolas Co areas, most but not all, are from Adams Co. so lots of trips to Berne. I would love to see these “classic” issues–how interesting! Thanks for an opportunity at these, I have been a subscriber for a while now but don’t have any near this old. These are the most interesting posts to me in that it’s great to compare and contrast the Amish at a closer, more relative distance. Thanks. Hey, you never know! Thanks! I would love to win the magazines. I find this really fascinating and would love to read this. I was born in the 60s and grew up in the 70s, so this would really be a good read. I would love to receive this. Am fascinated by the Amish and read everything I can. Thanks to the donor for this generous offer. i don’t want a copy of this retro publication, thanks, but, from what we’ve seen of other publications by Pathway they have a nice consistency of their fonts and images… simplicity at work. books from their catalog. I agree that the articles would probably fit today’s reading as well as it did in 1971. I was born in August of 1971 so would love to win! Many thanks for offering these! I had read “Growing Up Amish” by Ira Wagler. 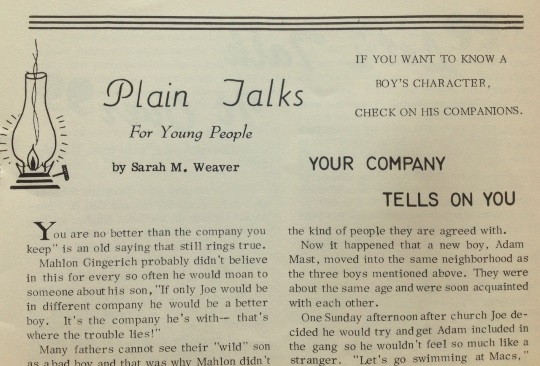 Is this the publication that Ira Wagler’s father produced? I am so interested in Amish culture — these books would be a great addition to my growing library of Amish literature. I’m going to have to start looking for older issues in thrift stores when I’m in Lancaster. Does anyone know ones that sell Amish stuff in Lancaster? We are visiting next week. This is great. Thanks Linda! I can probably find old copies at our local thrift store if anyone wants them. If you want to pay postage and and give me your mailing address I’l try to look for some. I would be very interested in obtaining a copy of this publication. I have always been fascinated by the Amish lifestyle, even writing a paper on the Amish when I was in college. This was many years ago, but I think that I can remember this publication being mentioned in my paper. Also, Rebecca, my name is Beckie. I have wondered if Amish girls named Rebecca ever go by the shortened version. Oddly enough though, my name is Beckie, not Rebecca. That was what my Mom did when she named me! Please let me know if I could have a copy mailed to me. Beckie, Yes, actually it seems almost more common to go by Becky. My Mom and then later myself advocated pretty strongly to keep me a “Rebecca”. I’ve been called “Becky” more as a pet name when I was younger and had a few friends in my teen years who used “Becky”, but as I became older I was “Rebecca”. Give me your mailing address and I’ll see what i can do about getting young Companions to you. There might be some shipping charges. Just selected a winner using random.org. Comment # 18, Jerome, you’re the one! Thanks to everyone who joined in. Jerome, drop me an email (ewesner[at]gmail[dot]com) letting know where you’d like your YC issues sent. Jerome, they’re in the mail. I added a note. Enjoy ! There are more available so let me know if you’d like more. With shipping they come to about 55 cents each. Thanks Rebecca! Money is on its way also, I also added a note along but just wanted to let you know I would be interested in the others also.Thanks again.